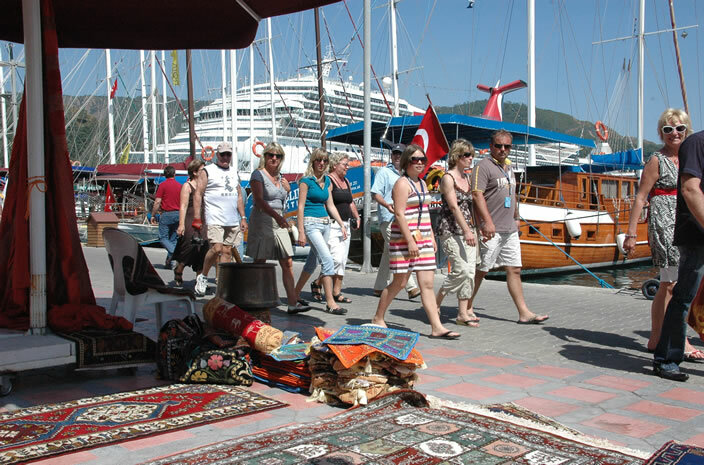 Marmaris, the ancient Physcus, was an important town on the Anatolia-Rhodes-Egypt trade route. 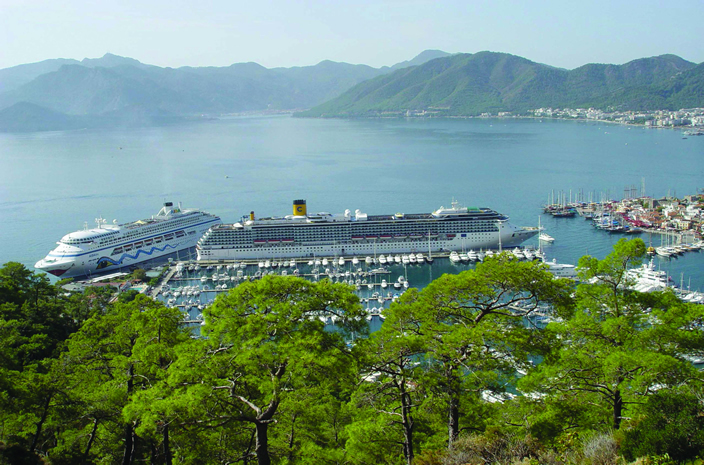 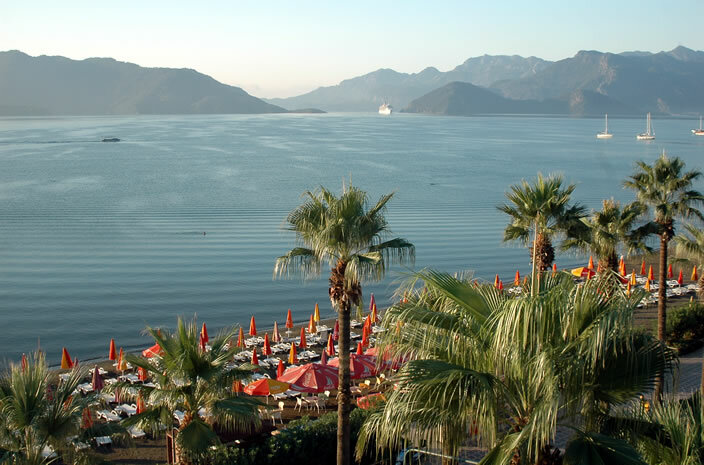 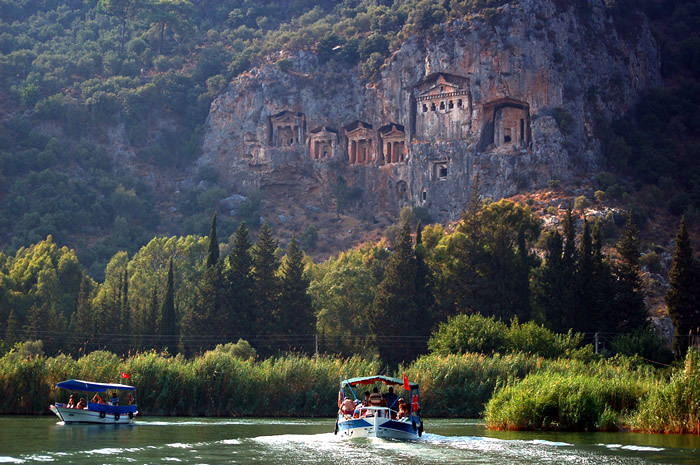 The history of Marmaris dates back to 3400 BC and traces of different civilisations can still be seen in the area. 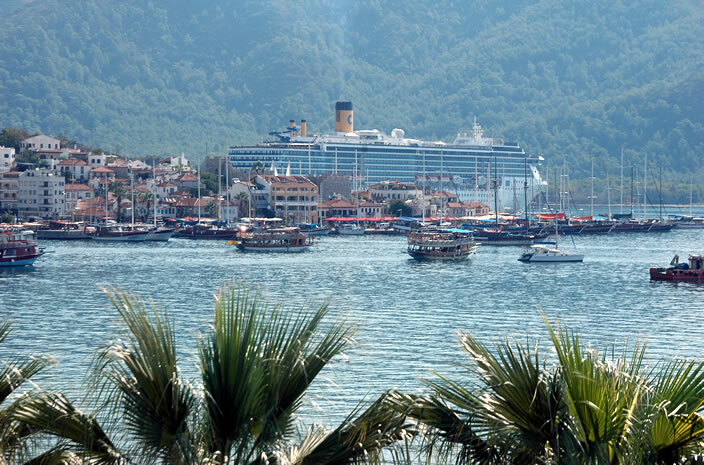 Due to its natural protective nature, the harbour has played an important role in naval history and provided shelter to the fleet of Sultan Suleiman the Magnificent during his conquest of Rhodes in 1522. 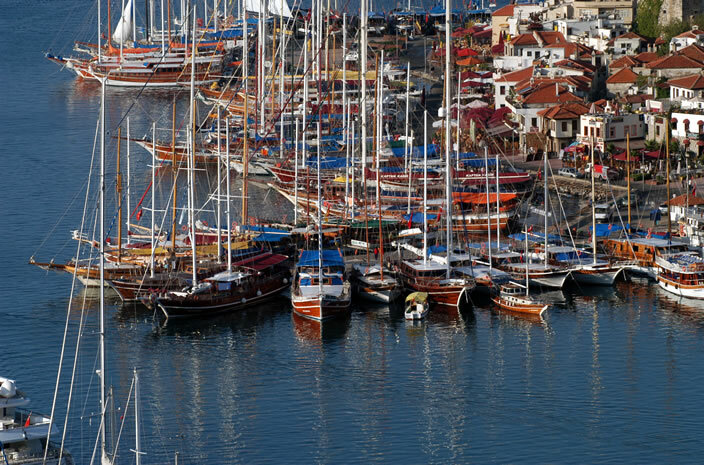 Admiral Nelson also assembled his fleet here before sailing to Egypt in 1798. 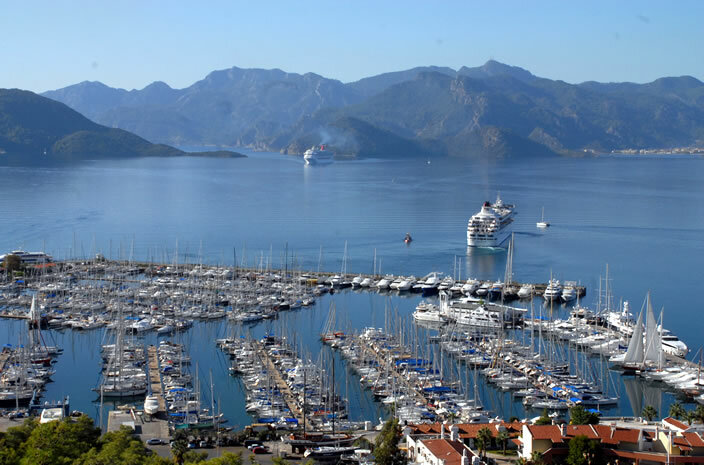 Today the town remains important as an attractive, modern holiday resort and the leading yachting hub of the Eastern Mediterranean, with its marinas home to yachts from all over the world. 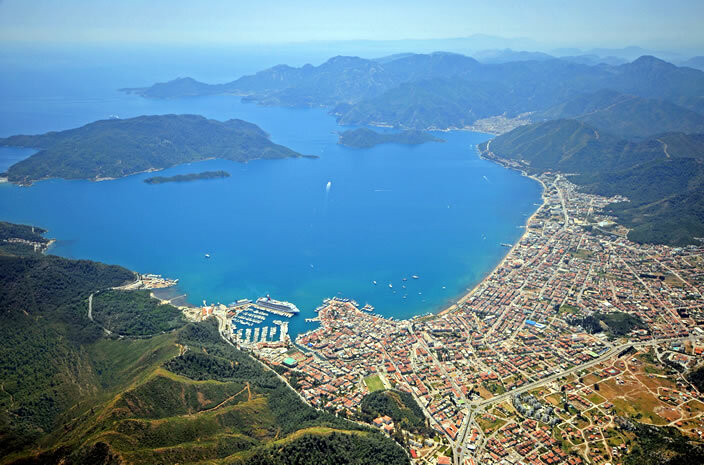 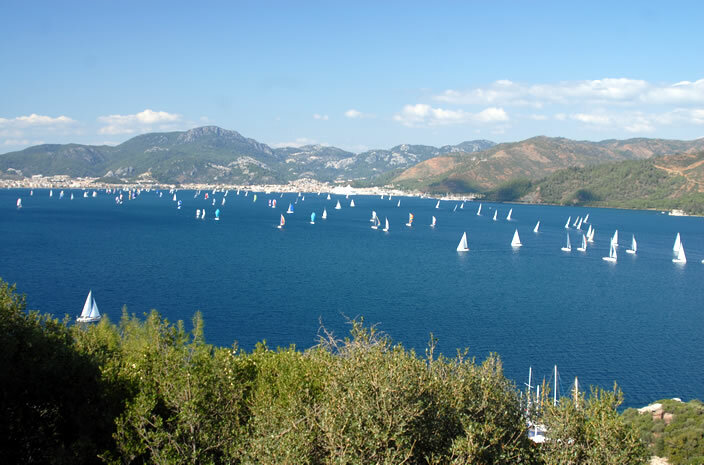 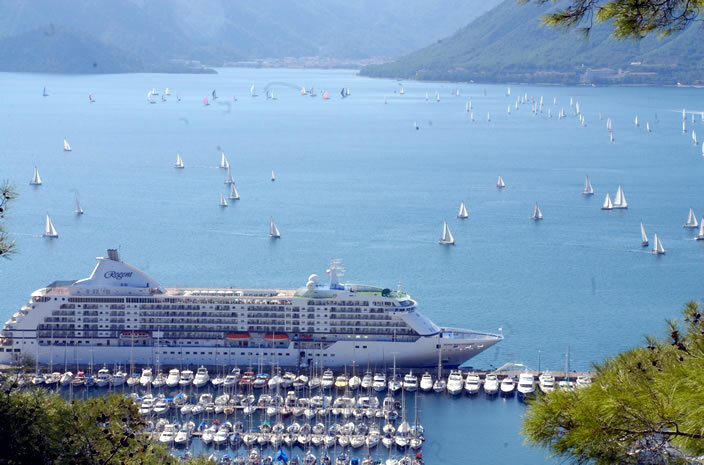 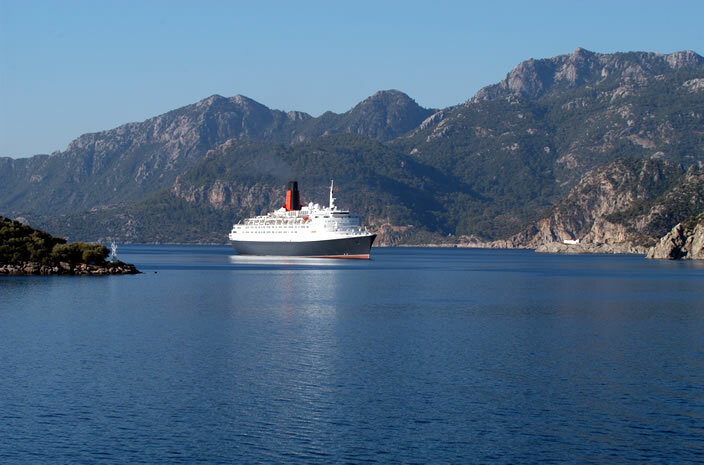 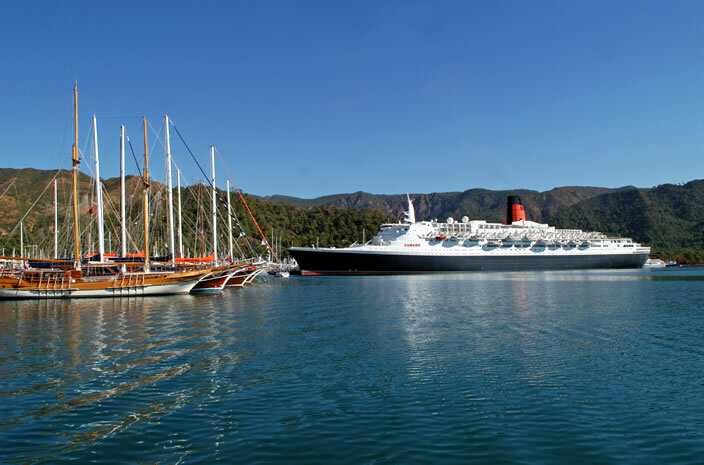 With its dramatic backdrop of rugged, pine-clad mountains, the crystal-clear, calm sea of Marmaris bay provides the perfect setting for water sports and sailing. 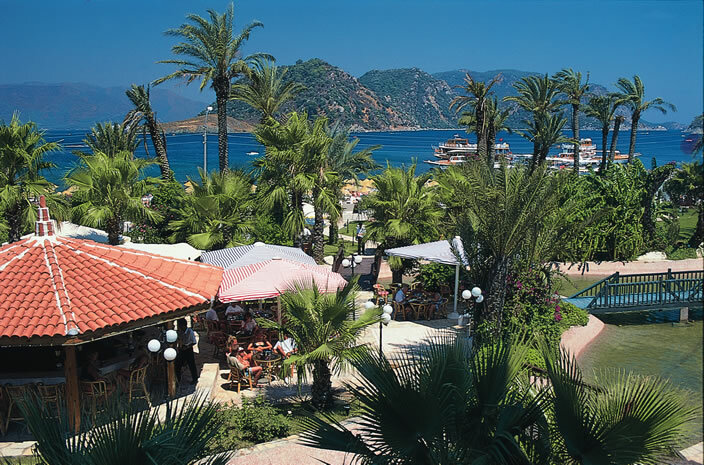 Onshore, an elegant palm-lined promenade runs along the beach to the castle, marina and vast covered bazaar, where everything from authentic Turkish handicraft and carpets to Turkish delight and Ottoman antiquities can be found. 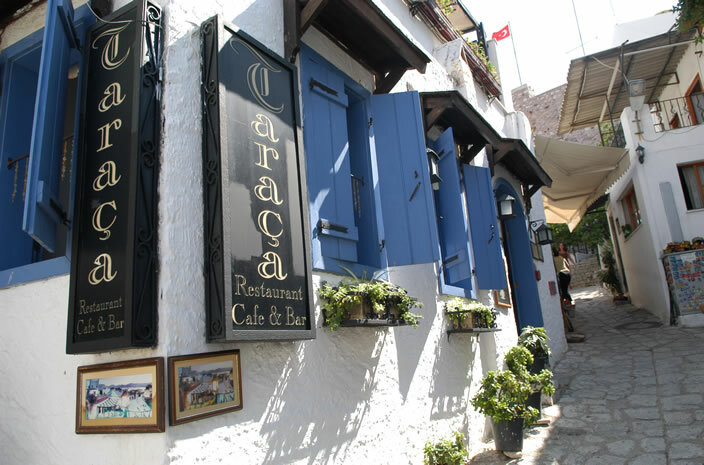 Colourful and lively cafes and restaurants line the quayside offering freshly caught local seafood, and surrounding the old town and castle are lively bars and nightclubs with light and dance shows. 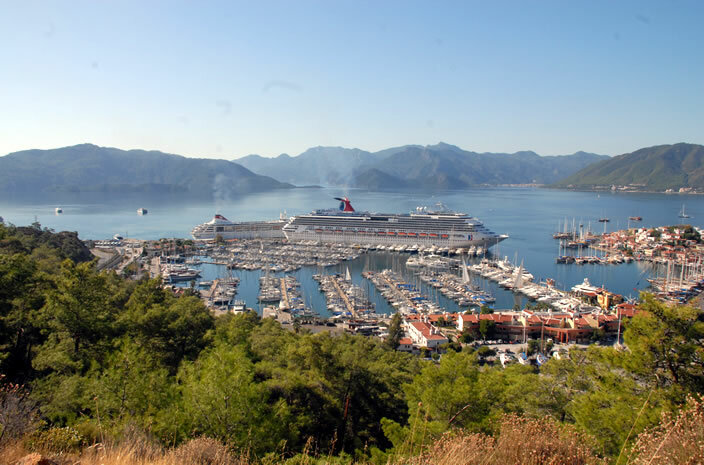 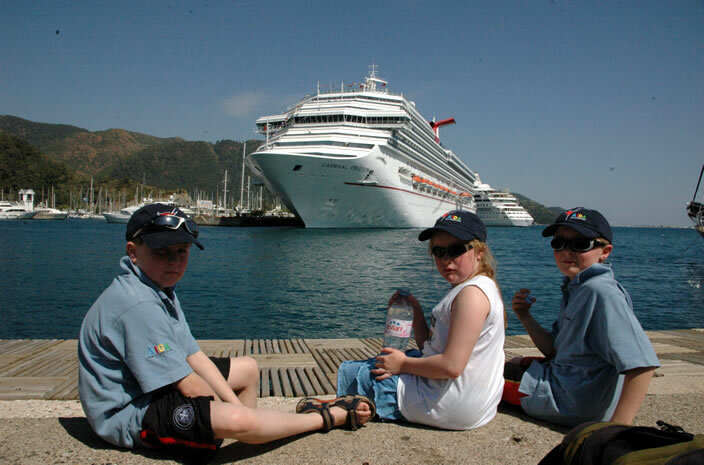 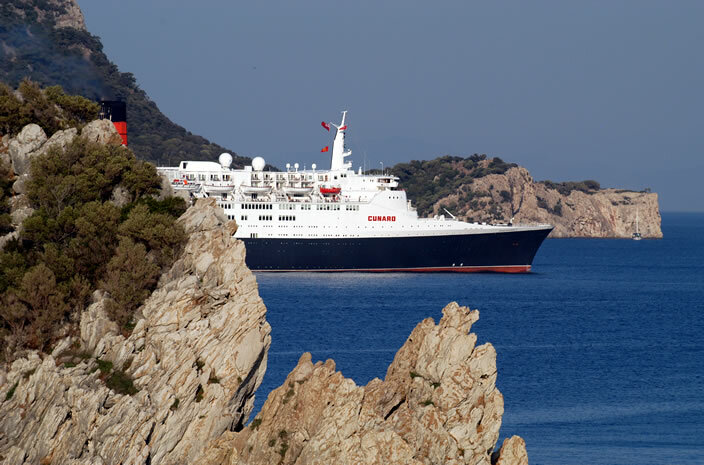 All these attractions are just a few minutes scenic walk from the port. 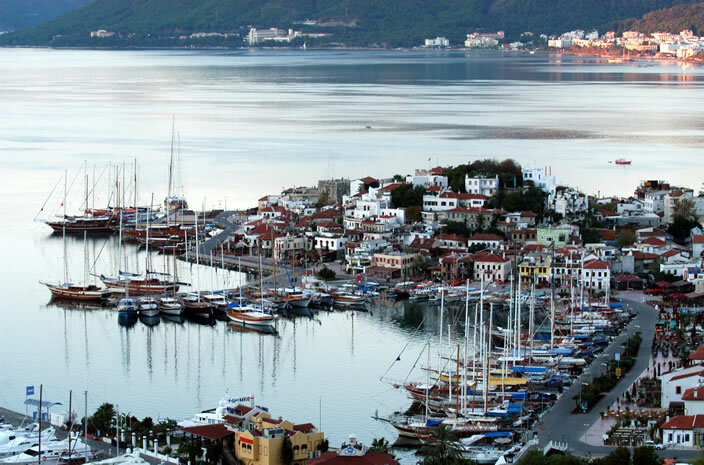 Local villages around Marmaris are famed for the building of unique, hand-crafted, traditional Turkish wooden yachts (gulets), definitely worth seeing on a village tour excursion.